Gorilla Perfumes, the rebellious perfume arm of cosmetics company, Lush has opened its very first standalone store in London. The store is situated within the fashionable Camden Passage in London and will stock the brand’s current offerings; Volume 1 (Lust etc), Volume 2 (Furze and Hellstone etc) and the newly launched Volume 3 (Kerbside Violet et al), as well as the Gorilla B-Sides, which are the fabulous fragrances from the now-defunct B Never too Busy to B Beautiful, such as Breath of God and Ladyboy. 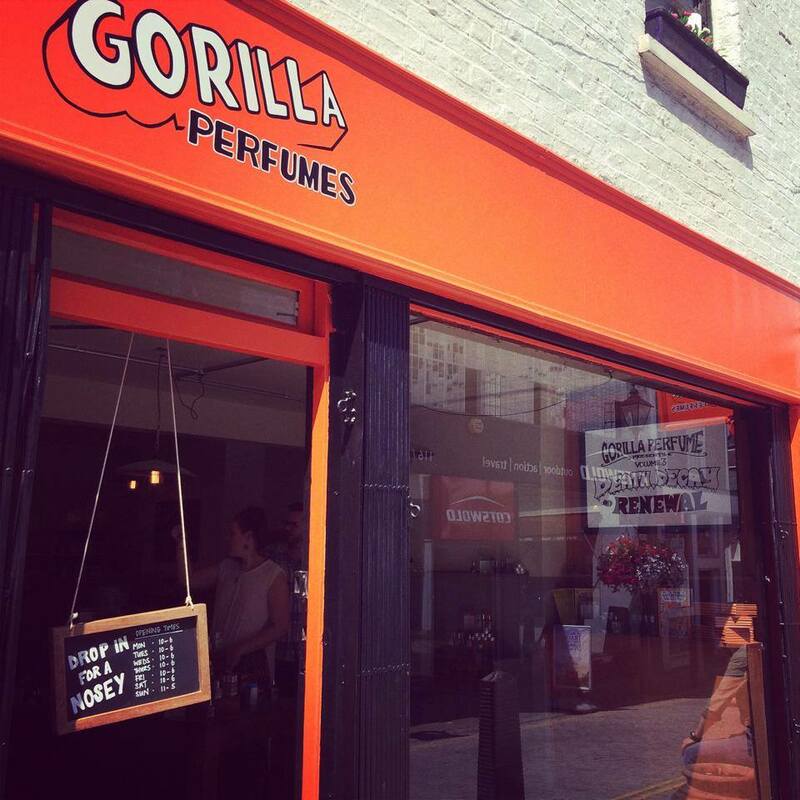 The Gorilla Perfumes store can be found at 3 Camden Passage, London, N1 8EA. Do let me know if you’ve managed to pop in and have a nose!